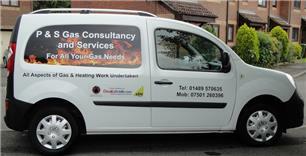 P & S Gas Consultancy and Services - Central Heating Engineer, Plumber based in Locks Heath, Hampshire. Invoice history based on 1026 reviews. P & S Gas Consultancy and Services was established in 2009. It's a small family run business that's committed to good old fashioned customer service. "We always aim to attend to a customer's needs on the same day as the request as we know it's important to them." Phil Hubbard is a consultant and gas engineer and has been in the gas industry for over 35 years. He was a CORGI / Gas Safe Register inspector for 17 years before starting the business with his wife Stephie who runs the office. The services provided are as follows: Servicing, Maintenance, Breakdowns, Landlords' Gas Safety Certificates, Gas Safety Checks. This covers all types of gas appliances for Domestic Natural Gas. Also all types of Heating and Gas work carried out, including Power Flushing are undertaken for customers throughout Southampton, Fareham and Portsmouth areas. The company is located in Locks Heath, Southampton.